The value of mapping the customer journey, especially in mobile apps, is clear – it helps plan and prioritize the marketing, sales, and user experience activities. While the customer journey accurately covers the path a customer takes, it tends to forget the one thing that dramatically impacts how the user moves through the cycle: communication. In the mobile industry, how app users move through the levels of the customer journey depends critically on communication, which is usually the decisive factor between retention and engagement, and churn. As visualized below, user communication starts broadly and should be optimized with every user interaction. 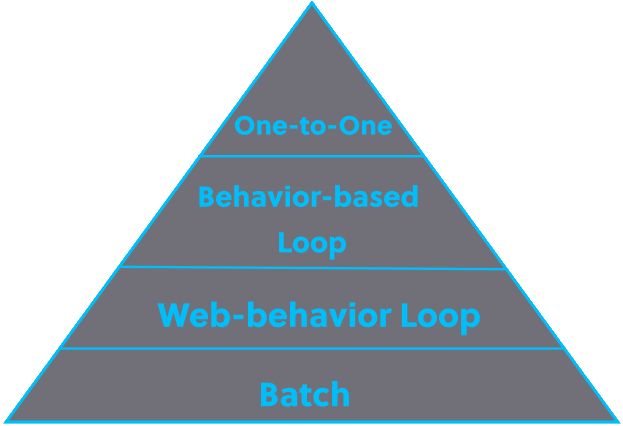 Batch – The lowest level of communication, Batch, is general, broad, and by no means personal. This type of broadcast communication is very typical for the initial phase of the app user customer journey, specifically when the app is opened for the first time. During the delicate onboarding process, in which some app verticals endure the loss of over 50% of their users, the sole purpose of any messaging is to get the user accustomed to the app and begin using it. To make the onboarding process faster and easier, very little information about the user is collected, and even if so, it is hardly ever used for communication purposes at that point in time. 3rd party data gathered about the user, including social media activity, ‘likes’, frequently visited sites, and more. App activity data which start as very general segmentations (buyer/non-buyer, frequent/non-frequent user, etc) and gradually, with the help of data analysis or MEPS (Mobile Engagement Platforms), become more distinguished and personal. Each engagement loop generates more information about each user, which helps group users into segments or audiences. At the same time, in each user’s lifecycle, personalization starts playing a pivotal role in their decision of whether or not to continue using the app. Behavior-based Segmentation – The next phase of communication is required in order to retain the user for long periods of time. In many cases, personalized communication is what leads to the last two steps of the user lifecycle: upsell and loyalty. Personalized, behavior-based communication relies on all the data already collected about users’ digital activity. However, an important source is now added: real-world behavior. Real-world behavior encompasses offline activities: What kind of person are they? What are their hobbies and routines? What are their day-to-day habits? In the eyes of mobile marketers, this data widens the scope of understanding: from simply users to humans. Strengthened by digital activity and footprint data, this level of personalization creates much more powerful segmentations for effective communication and leads to higher response and conversion rates. One-to-One (hyper-personalization) – This last layer is the holy grail of engagement optimization. All user communications are hyper-personal to the extent that they completely adapt to each and every user. When apps communicate one-to-one with their users, ,mobile users experience products or services that take into consideration their real-world behavior, traits, and activities, as well as their entire digital activity. As effective dialog with the user depends on finding the right time to engage with them, one-to-one communication is optimized to engage with users based on moments of availability and receptiveness. In other words, hyper-personalization takes into account not only who the users really are but what they actually do throughout their days. Hyper-personalized communication can be sent in a batch while still remaining personal. Moreover, a feedback loop is maintained so that user behavior is constantly tracked while product and messaging quickly adapt to every user activity. Communicating based on the highest level of personalization requires the collection and processing of real-world user data, as well as the infrastructure for granular segmentation. While using real-world data is not yet extremely common, the effects of using it have been widely proven: dramatically higher user engagement, retention, and LTV. 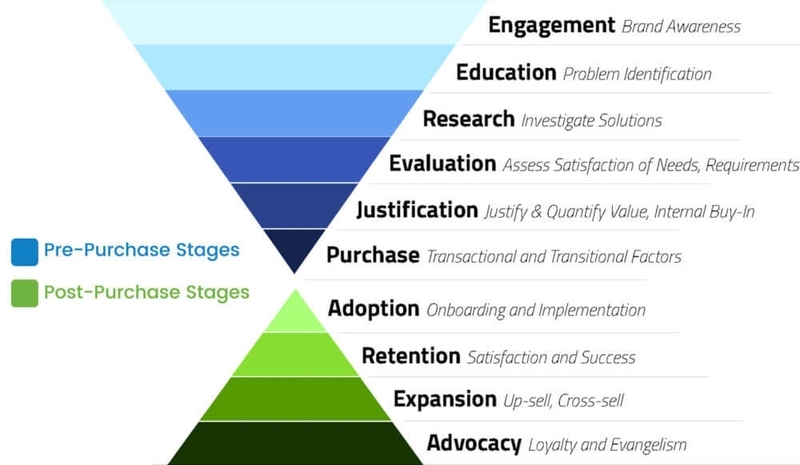 When it comes to communicating with your users, what stage are you in? Drop us a line and let us help. Neura intelligently transforms customer engagement by delivering live, actionable insights based on each user’s real-world behavior. Copyright © 2019 Neura, Inc.